Metal detectors are powerful devices that can send signals to the user if something valuable (or not) is buried underground. It is arguably the most crucial gadget to bring in a treasure hunt. If swords are to warriors, metal detectors are to treasure hunters. And it is a given that a weapon (or device) is only as powerful as the one who wields it. Knowing how to use your metal detector is a major determinant of your success or failure in finding treasures. If you want to know more on how to use a metal detector, read on! Stabilizer: Supports and assists your arm as you sweep. Control box: Has the basic controls of the device and processes the signals or pulses emitted to let you know if a metal has been found or not. Search coil: The rounded piece at the bottom of the device that you point towards the ground. Shaft: The rod that connects the search coil to the control box. There are essentially three types used in treasure hunts. It is crucial to know the type so you can better understand how to use a metal detector. These metal detectors, otherwise known as induction balance metal detectors, are the most popular among the three. It uses two coils to emit and receive magnetic field signals at very low frequencies to identify buried metals. Through the power of electricity, the outer coil, called the transmitter, emits electromagnetic signals towards the ground. If metal is present, it will react to the downward signal of the transmitter by sending a signal upward. The upward signal from the metal is captured by the inner coil, called the receiver, and informs the user either through an audio tone. An added feature of VLF metal detectors is called phase shifts. By turning the knob in a metal detector with this feature, it will be able to let you know if a certain group of metals is present underground. This is also called discrimination. Metal detectors with phase shift can discriminate buried items made of steel versus items made of silver or gold. Less common and more expensive than VLFs, pulse induction metal detectors generate magnetic pulses instead of frequency signals in detecting the presence of metal. Using only a single coil, PIs emit a downward electromagnetic pulse. If there is no metal present, the pulse will dissolve very quickly. If metal is present however, it will react to the downward pulse and send an upward pulse. The coil then generates a reverse electromagnetic pulse upward thus taking the pulse a longer time to dissolve. This mechanism in finding metals is likened to how echoes work. Unlike VLFs, PI metal detectors are said to be able to penetrate deeper into the ground making it a favorite amongst serious treasure hunters. The beat frequency oscillator type is the simplest and cheapest of the three and is preferred by most beginners. BFOs utilize the interaction of radio waves and magnetic fields in detecting metal. Like the VLF, it has two coils. The first one is located in the search head while the second one is in the control box. In between is an oscillator that generates radio waves at a fixed frequency. If the search coil passes through metal, it will create a magnetic field around the metal that will interrupt the radio frequency. The disruption in radio frequency is the signal for the user that metal is present underneath the soil. Though preferred because of its low-cost and simplicity of use, it is seen as less reliable and accurate in finding precious metals when compared to the VLF or PI types. "Knowing how to use your metal detector is a major determinant of your success or failure in finding treasures." 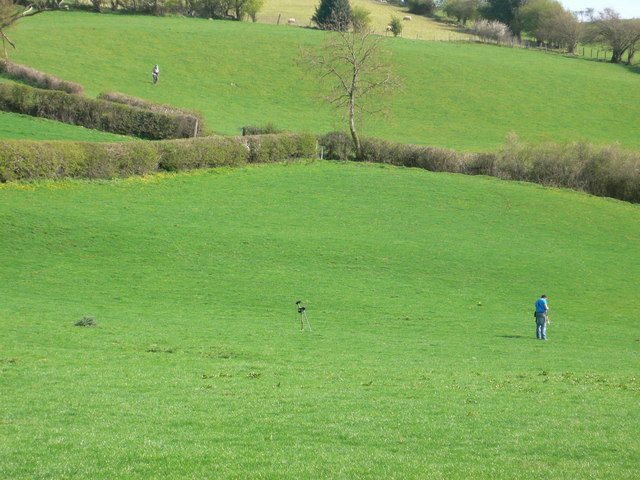 The first thing to learn in metal detecting is the act of sweeping the device. It is important to keep your metal detector "low and slow" as one article points out. The search head must be low enough (but not touching the ground) for signals to penetrate deep into the soil. You must also sweep slowly and not hurriedly so the detector can sense a return signal or pulse if metal is present. Now that you’ve gotten some tips on how to use a metal detector, it’s time for you to try it out! Enjoy your new gadget and have a great time treasure hunting!